Just a general query about Takara MOC, what would their relative worth be compared to MOC from other regions? I've seen a couple up close and they seem to still have a really bright colour with clear bubbles, but I really know nothing about them. can anyone give me some more info on them? Takara moc's always sell for a premium due to their limited distribution. 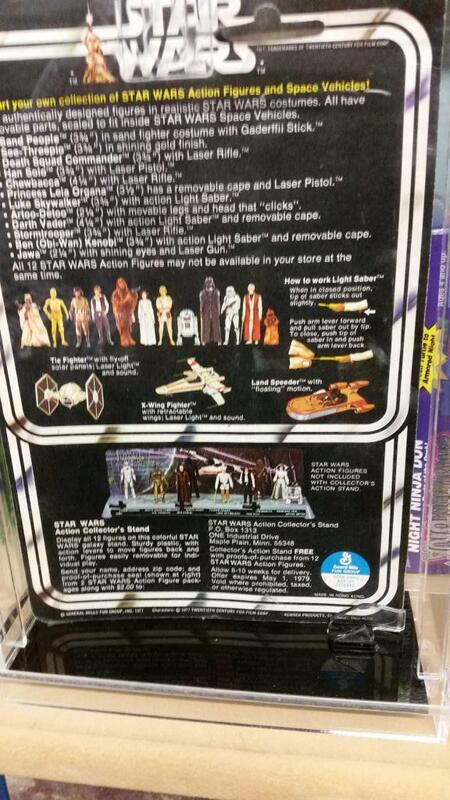 Most Takara 12 backs are standard Kenner moc's with a Takara sticker. 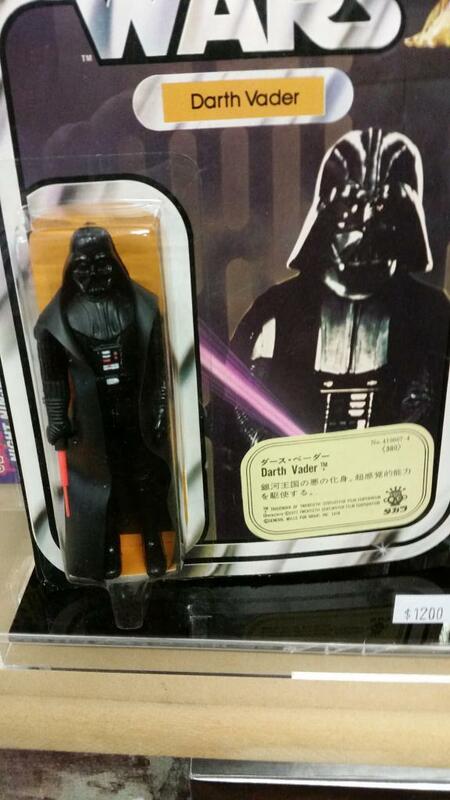 However, there is also the Takara sculpt Vader, Stormtrooper & C-3PO (with 'Japan' coo's) which are even more desirable and EXPENSIVE. Thank you for that. How can you tell a 'Japan coo' when they're inside the bubble? 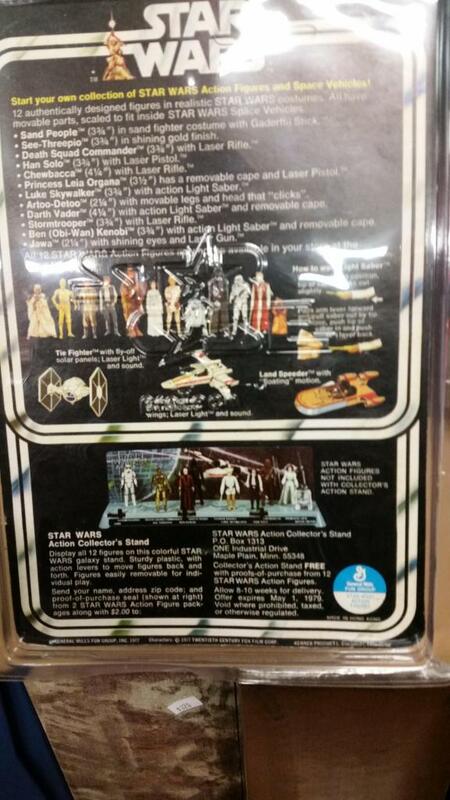 Also, what price would a Stormtrooper go for? Ideally if you posted up some photos it would be easier to help identify them. 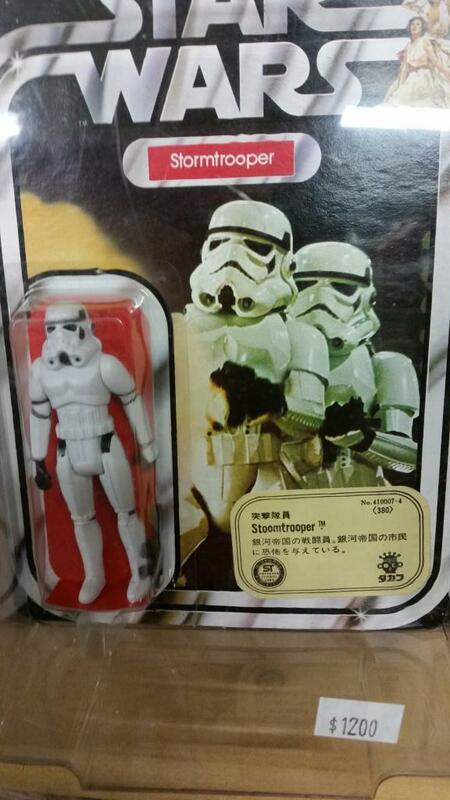 As well as the 3 unique JAPAN sculpts (Vader, C-3PO and the Stormtrooper) as Steve mentioned about there are also 3 variants of the Takara sticker on the front of the cards, one of which is quiet rare. Thanks walkie, after doing some more research on them I'm pretty sure they're not the Japan sculpts, see the below photos. What would be a fair price for these?